You factorise the quadratic expression x²+ (a+b) x +ab by rewriting it as the product of two binomials (x+a) X (x+b). 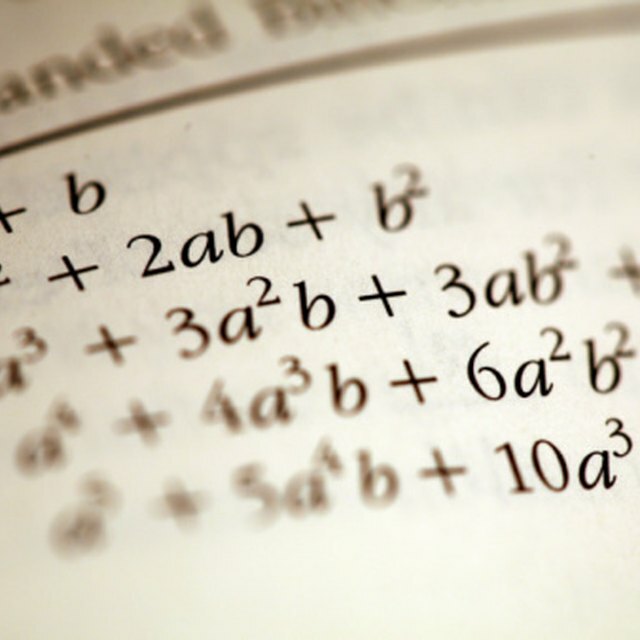 By letting (a+b)=c and (ab)=d, you can recognize the familiar form of the quadratic equation x²+ cx+d. Factoring is the process of reverse multiplication and is the simplest way to solve quadratic equations. Use the equation x²-10x+24 as an example and factorise it as the product of two binomials. Rewrite this equation as follows: x²-10x+24= (x ? )(x ?). Fill in the missing terms of the binomials with the two integers a and b whose product is +24, the constant term of x²-10x+24, and whose sum is -10, the coefficient of the x term. Since (-6) X (-4) = +24 and (-6) + (-4) = -10, then the correct factors of +24 are -6 and -4. So the equation x²-10x+24 = (x-4) (x-6). Check that the binomial factors are correct by multiplying them together and comparing to the quadratic expression of this example. Use the equation 3x² +5x-2 as an example and find the binomial factors. Factor the equation 3x² +5x-2 by breaking down the 5x term into the sum of two terms, ax and bx. You choose a and b so that they add up to 5 and when multiplied together give the same product as the product of the coefficients of the first and last term of the equation 3x² +5x-2. Since (6-1) =5 and (6) X (-1) = (3) X (-2) then 6 and -1 are the correct coefficients for the x term. Rewrite the x coefficients as the sum of 6 and -1 to get: 3x² + (6-1) x -2. Distribute the x to both 6 and -1 and get: 3x² + 6 x -x -2. Then factor by grouping: 3x(x+2) + (-1) (x+2) = (3x-1) (x +2). This is the final answer. Check the answer by multiplying the binomials (3x-1) (x +2) and compare to the quadratic equation of this example. You cannot factorize all quadratic equations. In these special cases, you have to complete the square or use the quadratic formula. Contributor. "How to Factorise a Quadratic Expression." Sciencing, https://sciencing.com/factorise-quadratic-expression-2265712.html. 24 April 2017.